The program will continuosly be updated. Precision. Speed. Audacity. 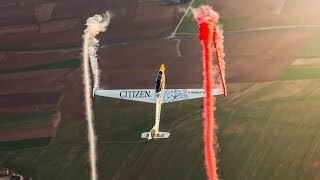 Aerobatics is one of the world’s most demanding disciplines – and one of the most fascinating sights. A concentrated blend of technique, mastery and style. 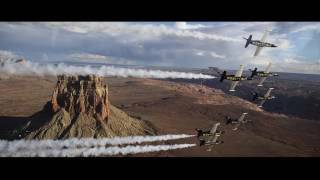 In order to share its passion for aerobatics with a broad audience, Breitling has created the Breitling Jet Team, the world’s largest professional civilian flight team performing on jets. With its fast and powerful aircraft piloted by flying aces, this unique aerobatics team illustrates the brand’s cherished values: performance, precision, aesthetic sophistication and innovation. 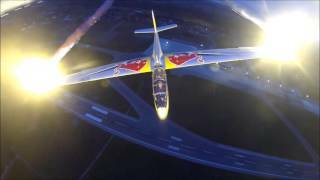 Each appearance of the Breitling Jet Team is a breathtaking vision. A meticulously coordinated ballet in which planes sometimes fly within 3 meters of each other, at speeds of over 700 km/h! A rapid-fire succession of figures that are perfectly calculated, mastered, synchronized and fine-tuned down to the smallest details. Exactly like a Breitling chronometer movement. Welcome to a world where outstanding feats are the rule! Luca Bertossio (born January 24, 1990) is an Italian aerobatics pilot and multiple world champion who performs glider aerobatics as competitor for the Italian National Glider Aerobatic Team and as a professional Airshow pilot for the company Red Bull. Die Fallschirmaufklärerkompanie 17 ist ein auf Sonderaufklärung spezialisierter Milizverband des KSK, der befähigt ist, den Einsatzraum aus der Luft zu erreichen. Sie besteht aus einem Kommandozug sowie den Fallschirmaufklärer-Patrouillen. The basic display of the silver birds is known all over the world by now and spotters and fans, who saw this program various times will always be on the way to enjoy this choreography of silent flight, aviatic accuracy within smallest distances and music, smoke or even better pyrotechnical effects. Because the show creates different impressions each time, depending on the environment, whether above the Enns-valley, Wolfgangsee or above an international airport. The 1943 Boeing Stearman was first used as a primary training aircraft for American pilots who went on to fly fighters and bombers in World War 2. Danielle, 28, originally from England dreamed of becoming a Wingwalker from early childhood and she is now in to her 11th year as a professional Wingwalker! She is arguably one of the most experienced in the World, with over 1000 wingwalks under her belt and she is one of the few that does the REAL Wingwalking!! Not just stood on the top wing but actually moving inbetween the wings and really climbing around the plane!! Plane: Curtiss Wright Travelair E-4000, year of construction 1929. Christian ‘’Chrigel’’ Maurer (27th July 1982) is a swiss paraglider from the region of Adelboden. After his apprenticeship as a mason he was working as a test and competition pilot for the manufacturer of paragliders Advance. Since December 2012 he is a full-time competition pilot. Between 2012 and 2014 he flew and worked for the manufacturer of paragliders Ozone. Since the end of 2014 he is back working and flying with Advance. He is married with Karin Maurer since 2007. He is very active with excellent results in the area of distance flying and aerobatics. The Fieseler Fi 156 “Storch” (Stork) is a fascinating aircraft. When it first took to the skies in 1936, it was way ahead of its time. It was the brainchild of the German fighter pilot and acrobatic pilot Gerhard Fieseler. The three-seater with its delicate looking landing gear has high lift flaps and enough power to take off within 50 metres and land on just 20. This made it a precursor of the helicopter. Even now, the “Storch” is often referred to as a “fixed wing helicopter”. It served in spectacular missions and was built almost 3,000 times at the Gerhard Fieseler Works in Kassel. It was also built under license by Morane-Saulnier in France, and Mráz in the Czechoslovakia. Today, there are only very few that are airworthy.